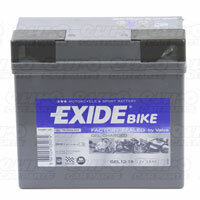 A motorcycle needs an electrical supply to fire up and to power essential functions such as headlights and indicators. This power supply comes from the battery, which attaches to the bike frame. 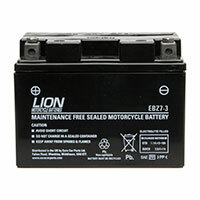 We stock an extensive range of motorcycle batteries at great prices. Just as a car does, your motorcycle runs on battery power and choosing the right type of battery for your bike is very important in order to optimise power and efficiency. A motorcycle battery is smaller than most car batteries, which means it can be fitted directly onto the external frame of your bike without looking out of place. 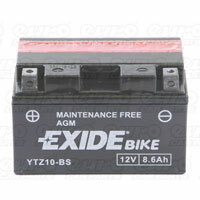 Despite being small, the motorcycle battery has been perfected over the years to store a good amount of power. However, as all batteries do, it will eventually wear down and will need to be either recharged or replaced. 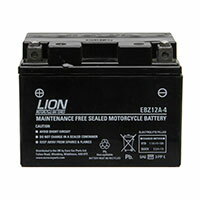 This will probably happen sooner for a motorcycle battery than for that of a car because of its external mounting and exposure to the elements. Additionally, if you have put your bike away over the winter, you may be unable to restart the battery when you bring it out of storage. When the time does comes to replace your motorcycle battery you should select one that will power your bike to its max. 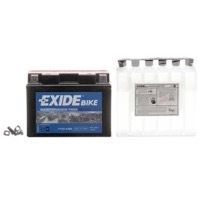 Motorcycle batteries come in a vast range of sizes and capacities and you will be able to find the perfect match for your bike – whether it’s a 50cc moped or a 1000cc superbike.